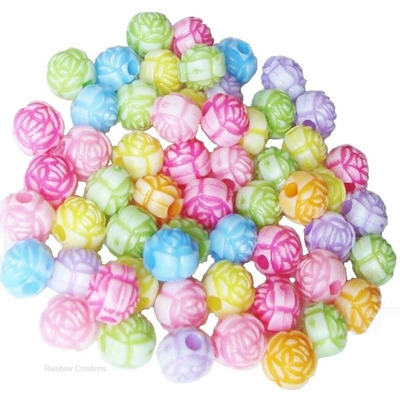 50 rosebud flower beads in pretty pastel colours. 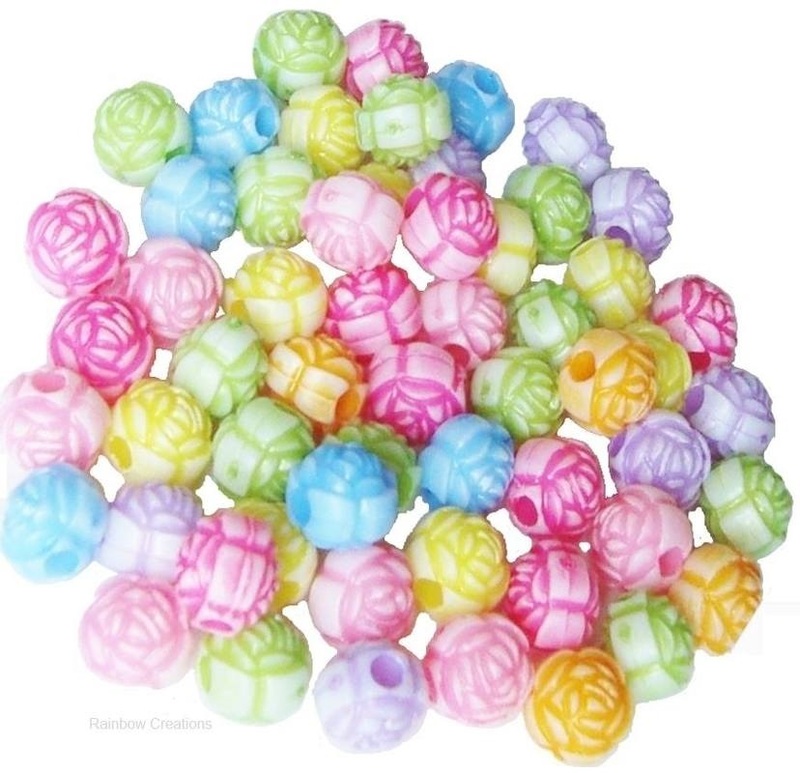 These are large ball shaped beads suitable for children of any age to use. 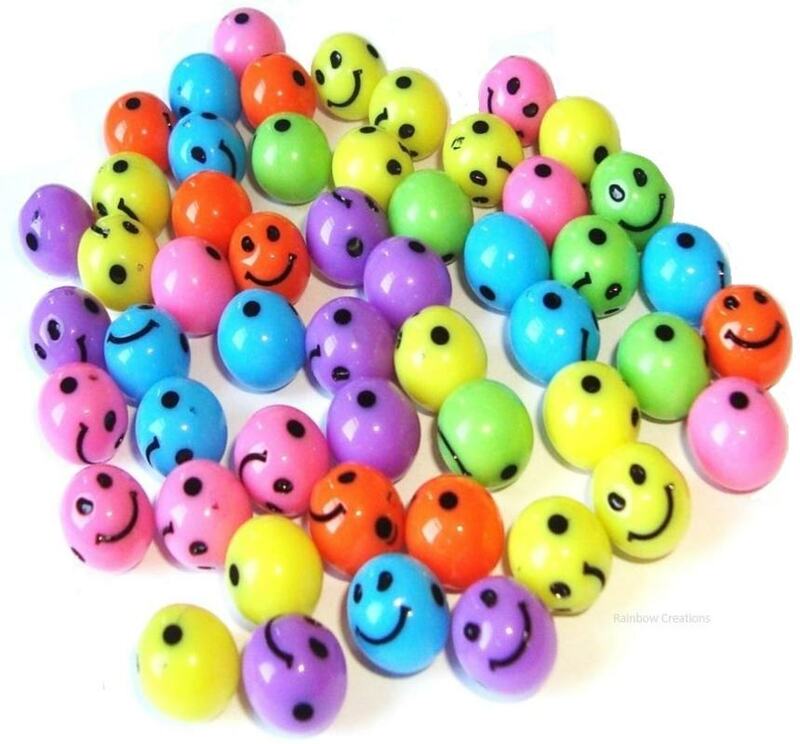 They are easy to thread and look great when made into bracelets and beaded necklaces for summer jewellery making activities.